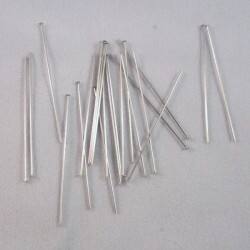 This category contains Stainless Steel Head and Eye Pins in various gauges and lengths. A pack of 50, Stainless Steel head Pins. They are 38mm long and are made from 24ga stainless steel wire.